In Re KT & Ors  EWCOP 1, Charles J has returned – again – to the vexed question of how Re X applications (now, strictly, COPDOL11 applications) can proceed where there is no-one can properly play the part of Rule 3A (now Rule 1.2(5)) representative. Charles J considered four test cases of the 300 or so that have now been stayed in accordance with his decision in Re JM  EWCOP 15, there being no family member or friend is available for appointment as P’s Rule 1.2(5) representative. 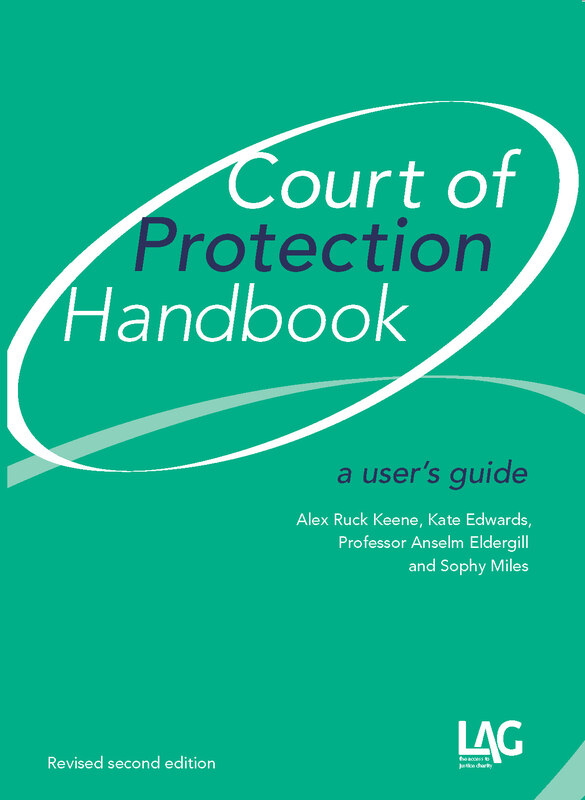 In early 2017, the Government Legal Department had written to local authority applicants in stayed cases to indicate that (1) the most appropriate course of action was for the local authority to identify a professional advocate; but (2) where one was not available, the local authority should liaise to take forward the process of commissioning a Court of Protection General Visitor to complete a report under s.49 MCA 2005. The GLD letters indicated that Ministers had agreed to provide funding to HMCTS to enable greater use of visitors by the COP. On the basis of these letters, two applicant local authorities sought to lift stays in four cases, which were listed before Charles J as test cases. Charles J, it is fair to say, was unimpressed by the GLD letters, noting that they were devoid both of detail as to extra funding, and also how and why it was now said that a professional advocate had or had always had been a practically available option in a significant number of cases. Following directions made in the test cases, the Secretary of State filed submissions which asserted that local authority applicants owed a duty under s.6 Human Rights Act 1998 “to facilitate the speedy resolution of the application by (for example) ensuring that a professional advocate is appointed to represent P’s interests so far as necessary“. It was asserted that this duty: “falls into the same category as the DOLS duties which were considered in Liverpool City Council,” the unsuccessful judicial review brought by local authorities to seek to compel greater funding to discharge their DOLS obligations. As Charles J noted that, this was a radical departure from the position that had previously been taken by the Secretary of State in JM, where it had been agreed that local authority and other applicants do not owe a statutory duty to provide representation for P in the COP. Whose obligation to provide representation for P? Charles J expressed the preliminary view that the Secretary of State’s argument as to the obligation of local authorities under the HRA was wrong, running counter to the decision on the obligations of a local authority in Re A and C  EWHC 978 (in particular at paragraph 96) and its application in Staffordshire County Council v SRK and others  EWCOP 27 and  EWCA Civ 1317. However, even if they did owe such a duty, Charles J held that this did not assist the Secretary of State because the central, statutory, obligation lay with the Secretary of State for Justice to ensure that the COP, as a public authority, acts lawfully and so can apply a Convention compliant and fair procedure. Charles J agreed with the agreed position of both the applicant local authorities and the Secretary of State that the appointment of a Visitor would provide a fair and Convention compliant procedure because it would provide the essence of P’s Article 5 procedural rights, which had been identified in Re NRA & Others  EWCOP 59 as requiring an independent person to: (1) elicit P’s wishes and feelings and make them and the matters mentioned in s.4(6) MCA 2005 known to the Court without causing P any or any unnecessary distress; (2) critically examine from the perspective of P’s best interests, and with a detailed knowledge of P, the pros and cons of a care package, and whether it is the least restrictive available option; (3) keep the implementation of the care package under review and raise points relating to it and changes in P’s behaviour or health. Charles J set out draft directions which could be made in cases where a Visitor was proposed. Charles J acknowledged that there were both advantages and disadvantages to the appointment of a Visitor over a family member or friend, the advantages being the independence and expertise of the visitor, the disadvantages being the absence of a more regular review on the ground by someone who knows P and wants to promote their best interests. Having conducted a detailed review of the (depressing) evidence before him, Charles J did not consider that the offer to fund Visitors by the Secretary of State was likely to offer anything but a short-term or a very partial solution to the issue. However, he held that this should not stop it being used for so long as it was available in practice. In light of the matters set out above, Charles J had to resolve an issue as to whether, where no family member/friend is available to as Rule 1.2(5) representative, the second choice should be a Visitor (the local authorities’ position) or a professional representative (the Secretary of State’s position). In reality, as he noted, the dispute was based upon the budgetary battle between local and central government. In the abstract, Charles J considered, the appointment of a professional who could act independently as a Rule 1.2(5) representative and carry out regular reviews of P’s placement and care package on the ground would in most cases be likely to have advantages over the appointment of a Visitor because it would provide a better basis of and for review and equivalent expertise and independence to that provided by a Visitor. However, given that there was no evidence that professional representatives were actually practically available in most cases, Charles J held that if he had to make a choice, he would choose a Visitor. He recorded the sensible acceptance by the Secretary of State that generally the COP can and should accept an assertion from an applicant authority that a professional Rule representative is not available for appointment at face value. In cases where a visitor is appointed (or some other available procedure is adopted to enable an application or review to proceed) there is no need to, or purpose for joining, or continuing the joinder of, the Crown. But, as soon as any such practically available process is no longer available I consider that, for the reasons given in JM and earlier in this judgment the COP should join the Crown to and stay such applications and reviews. Charles J suggested that the Secretary of State, the Public Guardian and the COP (through the Senior Judge) try to agree a process by which the stays are lifted in the approximately 330 stayed cases on the same basis as in these cases. He indicated that in cases in which local authorities (or, presumably, other applicants) have not sought to lift the stay, an appropriate course would be for the Secretary of State to apply to lift the stay in a manner that ensures that a visitor will be available for appointment in each case. However, he left the ultimate decision as to how best to clear the backlog to the triumvirate set out above. The decision in Cheshire West has caused huge resource implications. The Law Commission has estimated the cost of full compliance at £2.155 billion per year. One of the local authorities before the court, Wolverhampton, had brought 24 applications over the past 3 years, and estimated that that three times the present number should have been brought, the numbers being likely to increase with service users moving to supported living. The Law Commission had estimated that around 53,000 people are deprived of liberty outside hospitals and care homes, and calculated that this would cost local authorities and the NHS £609.5 million per year to authorise by obtaining welfare orders from the COP. Only a very small fraction of these applications are being made, although between January and March 2017, there were 969 applications relating to deprivation of liberty, up 43% on the equivalent quarter in 2016 (678). Of these, 600 were Re X applications. In the circumstances, it is hardly surprising that Charles J considered that funding to provide an additional 200 Visitor reports a year hardly scratched the surface of the problem. As he recognised, his analysis of the position represents, in essence, the re-arranging of deckchairs on the legal Titanic. LPS – and/or or a radical rethinking of the law relating to deprivation of liberty – cannot come soon enough. Court of Protection practitioners may be interested in the successful challenge by Godwin Chaparadza to actions by the SSHD including, materially for our purposes although only one aspect of his successful claim, much of which is outside the scope of this post, challenges to the lawfulness of his detention between 11 April 2014 and 20 June 2014. Mr Chaparadza had entered the UK as a student in 2004 and applied for his leave to be varied outside the immigration rules in 2011. This had the effect of extending his leave to remain pending the decision on that application and any appeal. The Home Secretary refused the application but did not notify Mr Chaparadza. When in 2013 he was arrested for driving without insurance and obstruction, he was treated as an overstayer; he applied for asylum and was rejected and after he exhausted his rights to appeal he was detained while reporting in April 2014. The Home Secretary refused to treat his further submissions as a fresh claim and he sought judicial review of, amongst other matters, the failure to comply with the notice requirement of the 2011 decision and the lawfulness of his detention. In (very brief) summary the court found that the failure to notify Mr Chaparadza of the refusal of his application in 2011 meant that the refusal itself was of no effect: this triggered the extension of his leave and therefore there was no basis to detain him in April 2014. The detention was, therefore, unlawful. The Home Secretary argued that this was a technical error: the judge disagreed. Reviewing the scope of damages for unlawful detention he awarded Mr Chaparadza £3,500 for the first 3 days on the basis of what he accepted was the shock of being detained and £7,000 for the remainder of the two month period, on the basis that Mr Chaparadza suffered no lasting harm. In many cases where unlawful detention of P comes to light it will not be possible to demonstrate the tort of false imprisonment which involves is “the unlawful imposition of constraint on another’s freedom of movement from a particular place” (Collins v Wilcock  1 W.L.R. 1172 at 1178.) However for those cases where this can be shown there is much to learn from the awards of damages in other jurisdictions. We reproduce below a version of the case comment on the case of Briggs v Briggs  EWCOP 48 which appeared in the December 2016 39 Essex Chambers Mental Capacity Law Newsletter. 91. […] in a case such as this when the purpose of the placement in the hospital is obviously for care and treatment the “all or nothing approach” advanced effectively on the basis that P will continue to be deprived of his liberty whatever regime of treatment is put in place (and so whether or not CANH is in Mr Briggs’ best interests) runs contrary to a best interests consideration of the circumstances P (Mr Briggs) is in on the ground as it seeks to exclude a consideration of P’s views etc. under s. 4(6) and whether the conditions can be improved or made less restrictive under s. 1(6) of the MCA. Alternatively, if it is said that the views of P on (life sustaining or other) treatment can be taken into account in considering whether he should be deprived of his liberty (or his personal liberty should be removed) this takes one back to the central issue in this case namely the impact of Mr Briggs’ views etc. under s. 4(6) on whether treatment should be withheld with the consequence that he should be allowed to die. It would be very artificial and in my view callous to say that this was irrelevant to the issues relating to his physical liberty, or the termination of the exiting DOLS authorisation, because during the period after the cessation of the CANH leading up to his death his physical liberty would not change even if (as is at least likely) he moves from the hospital to a hospice. ii) inform the order or orders to be made under s.21A(3), (6) and (7) in respect of the DOLS authorisation that has been granted (and if necessary extended by the COP applying the approach in Re UF). Charles J therefore held that Mrs Briggs could properly raise the issue of whether CANH should be continued as part of her s.21A challenge as RPR for her husband. We address the substantive decision in relation to her husband’s treatment in the separate case comment below. On one view, it would appear odd that a s.21A application could be used as a vehicle to challenge decisions about CANH, and it is undoubtedly the case that Mrs Briggs was “lucky” that there happened to be in place a DOLS authorisation at the hospital to allow her to do so (note that Charles J expressly did not decide whether or not in fact Mr Briggs was deprived of his liberty, as this was assumed to be the case for purposes of the preliminary issue decided here). However, once one steps away from the specific place that CANH has as a type of serious medical treatment (‘SMT’) and the mindset of SMT cases, Charles J’s logic would seem impeccable. DOLS may have been designed to plug the Bournewood gap, and to that end could have been limited solely to a determining whether or not the deprivation of liberty was necessary and proportionate (the test for Article 5 purposes). However, the scheme undoubtedly went further to include a specific best interests requirement which, in turn, requires the application of the best interests test under s.4 MCA 2005. Once the best interests genie was let out of the bottle, that must carry with it the connotation that those concerned with considering the requirement (and the court on a s.21A application) must have a wide view of the nature and purpose of the authorisation and – in turn – asking whether the care and treatment which gives rise to the need for it is, in fact, in the person’s best interests. It is, perhaps, not surprising – given the implications for legal aid in s.21A applications – that the Secretary of State/Legal Aid Agency are seeking permission to appeal to put the best interests genie back in its bottle.